CORRECTION: KLJY/St Louis (JOY FM) has hired KTSY/Boise OM Chris Gilbreth as its new PM drive personality. He will serve two key roles as PD for a new format and Afternoon Drive Co-host for JOY FM. Chris says, "I'd be hard pressed to write a better plan for where I'd want to be-- I get to be part of a team afternoon show on Joy FM, launch a new youth-driven station and there's abundance of toasted ravioli. Is it wrong to say I'm OVER-joyed?!?" Chris will start May 1 at JOY FM-St. Louis. Brown will continue to oversee the programming dept. WAYMedia announces staff changes effective immediately. Faron Dice joins the executive team as Vice President of Content & Network Services. Dice had been WAYMedia Network Services General Manager. In addition, the Digital Media Department will now fall under Dice’s direction, with Director of Digital Media Dan Gross reporting directly to Dice. Founder/President Bob Augsburg stated: “Here at WAYMedia, Faron has a ten-year track record of being a strategic thinker with a tremendous heart and passion to impact people through Christian radio. He also believes that excellence should prevail in all aspects of our on air product and online offerings. His new role will help take the ministry to new heights”. Also at WAY-FM/Louisville General Manager Matt Hahn is promoted to Regional Manager. with both the Louisville and Nashville operations officially his responsibility. He will continue to report directly to Chief Operating Officer Lloyd Parker, who stated, “Matt has a real heart for the mission of WAY-FM and done a tremendous job for WAY in the Louisville operation and I am looking forward to seeing what his expertise brings to Nashville.” Matt will continue to spend time each week at both operations, with Louisville Operations Director Bryan Johns assuming more duties at the Louisville office. As well Regional Business Development Director BJ O’Neal is being promoted to WAY-FM/Nashville Station Manager effective July 1, reporting directly to Matt Hahn. O’Neal will also continue in his role as National Director of Business Development for the ministry. BJ will be re-locating to Nashville from West Palm Beach this summer. The Nashville Cluster staff will report directly to him. Salem Radio Network highlights starting Monday (3/25) include.. All SRN talk hosts, including Bill Bennett, Mike Gallagher, Janet Mefferd, Dennis Prager, Michael Medved and Hugh Hewitt, will continue distribution of facts on traditional marriage in concert with the Scottsdale-based Alliance Defending Freedom. An SRN News special 5-part series on Biblical Marriage starts Monday anchored by SRN News religion correspondent Michael Harrington. 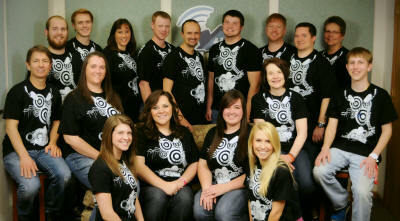 Capitol Christian Music Group (CCMG) has completed its acquisition of the existing Tooth & Nail recorded music catalog. This includes Tooth & Nail Records, BEC Recordings and Solid State Records, while excluding the catalogs of artists Demon Hunter, August Burns Red and the latest recordings from Love and Death and the Supertones. Capitol CMG will own and continue to develop products from Tooth & Nail’s extensive catalogs, marketing and distributing them through Capitol CMG Label Group and its catalog division. According to Capitol Christian Music Group President and CEO Bill Hearn, "It's been my privilege to work alongside Brandon Ebel for the last twelve years. He's a great record man and has developed some of our industry's best artists and music. Together we have built a strong catalog which CCMG will continue to develop and grow. I wish Brandon continued success as he re-establishes himself as one of the leaders in the independent music community." “Our partnership with EMI has been very successful, and we are grateful for the opportunities we have had with Bill Hearn and his team over the last twelve years. We are confident that our artists' back catalogs will be well served under CCMG. Moving forward we are excited to continue developing our artists on Tooth & Nail Records, Solid State Records, and BEC Recordings” said Ebel, Founder and President of Tooth & Nail. Tooth & Nail Founder and co-owner Brandon Ebel will retain rights to all label names and trademarks and will re launch Tooth & Nail as an independent label group, with forthcoming releases planned from August Burns Red, The Almost, Demon Hunter, Emery, Icon For Hire, Nine Lashes, Living Sacrifice, and All Things New among others. Details of release dates and distribution for the new label will be announced soon. During the transition period, Capitol Christian Music Distribution will continue to distribute all Tooth & Nail products. 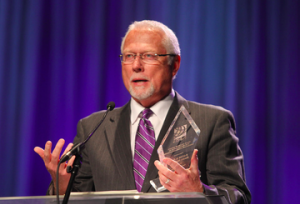 The K-LOVE and Air1 Radio Networks was recently presented with the National Radio Broadcasters (NRB) Billy Graham Award for Excellence in Christian Communications. 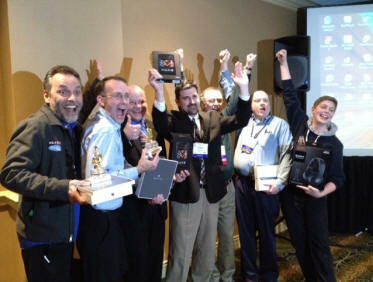 They received the prestigious honor during NRB's Awards Dinner, which was held last week in Nashville at the NRB 2013 Convention & Exposition. Prayers are requested for KSGN/Riverside PD Bryan O'Neal and his wife Mary. Both suffered injuries from motorcycle crashes this past weekend. Bryan described what happened this way, "Mary and I had a great ride in the San Bernardino Mountains... Mary got high in the corner and caught loose gravel. I saw her go down (i was 35ft back.) Next thing you know I'm down and tumbling on the center lane into the oncoming lane. I believe I tried to stop too fast to help her. We had just passed a CHP sitting on the side of the road facing the other way two seconds earlier, so we got help right away. It still took 40mins for the ambulance and a long time treating us on the side of the road, and a 45min ambulance ride together through the mountain curves to the hospital. This could have been much worse, we were doing 50mph when we went down. We were wearing leather chaps and motorcycle jackets and full faced helmets, I had just bought Mary the leather chaps before the ride. Just In: KSBJ/Houston PD/morning co-host Susan O'Donnell has exited the station. O'Donnell has decided that her season at KSBJ has come to an end. KSBJ President Tim McDermott says "While she will be missed dearly, we are grateful for her 19 years of dedication and service. And, we believe that God is stirring new things in Susan and has a great plan for her future." KSBJ has begun a nationwide search for a new program director. KTIS/Minneapolis PD Keith Stevens checks in with HisAir.Net and says "KTIS has climbed to # 2 overall P6+ in Minneapolis ST Paul in the latest PPM ratings. We are humbled by God's blessing and give Him the praise for this good news. I am so proud of the entire KTIS team as they have all worked very hard to bring the station to this level." Heather Shelley (left) has been named co-host of the “It’s A New Day” morning show heard on Columbia International University’s WRCM/Charlotte New (Life 91.9) and 89.7 WMHK/Columbia. Shelley will join current co-host Eric Calhoun “It’s a New Day” is also syndicated to WORD-FM in eastern Pennsylvania in cooperation with Four Rivers Broadcasting Corporation. Shelleys previous experience includes WUSN/Chicago, WLW/Cincinnati, and most recently as the morning show co-host WMIT/Asheville (106.9 The Light. She is also a recognizable voice on the commercials of national companies including Procter & Gamble, State Farm, McDonald’s and JCPenney. Grammy nominated singer/songwriter Matthew West will appear at this year’s NRB Convention & Exposition in Nashville to share the story behind his current single “Hello My Name Is” from his current album Into the Light. West’s song was inspired by the real-life story of Jordan Jeffers, who overcame drug addiction with the help of Teen Challenge. West and Jeffers will share about the song and story at a press event during the NRB 2013 Convention & Exposition on Monday, March 4, at 12:30 p.m., in Delta Ballroom B.
EMI Christian Music Group unveils its new name as Capitol Christian Music Group. Capitol Christian Music Group is part of the newly-launched Capitol Music Group which includes Capitol Records, Virgin Records, Blue Note, Astralwerks, Harvest, Caroline and the Capitol Studios. John Brock will return to the ShareMedia senior leadership team. John will assume a newly created role of Executive Vice President on April 15, 2013. 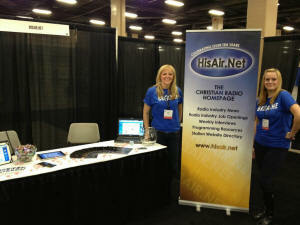 He will oversee domestic and international Christian radio client development and radio fundraising events in the US. John has nearly 40 years of experience in radio with 25 years focused in the Christian radio market. In addition to his part-time radio fundraising involvement as a consultant, coach and host with ShareMedia, John most recently served as Senior Pastor at New Hope Church in his hometown of East Tawas, Michigan. He will continue to preach from time to time as a guest pastor at New Hope Church. 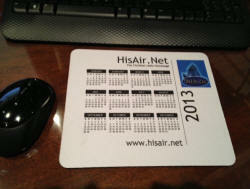 As previously reported on HisAir.Net WBGL/Champaign announces a major expansion into southern Illinois, as the station joins forces with sister station, WIBI/Carlinville. WBGL will be adding seven of WIBI’s frequencies including: Carlinville, Granite City, Vandalia, Effingham, Mount Vernon, Murphysboro and Metro St. Louis. WBGL’s coverage area will now stretch from Chicagoland to Carbondale, and its potential audience will grow from 2.5 million to nearly 3.75 million people. Station Manager Jeff Scott shares, “This is an extremely exciting period in the life of WBGL and the New Life Media network. God has richly blessed our efforts in the past 30 years, and we are looking forward to serving the communities of southern Illinois and are eager to see what God has in store.” The WBGL team is growing as well! Johnathon Eltrevoog, previously at Joy FM in St. Louis, joins the WBGL team as Afternoon Co-Host and Assistant Production Director, teaming with current WBGL evening talent, Lindsey Capperrune. Melody Miller, currently mornings at WIBI will be doing an evening show for WBGL and WCIC. GW VanAlstine, current Promotions Director at WIBI becomes the Market Manager for southern Illinois. And, Program Director Ryan Springer will come off the air to focus on programming. While many people were focused on Super Bowl XLVII, WONU/Chicago (The New Shine.FM) turned the spotlight on Jesse Nedohon of Crown Point, Ind., the winner of the 2013 Super Mom Contest. Friends, family, neighbors, on-air radio personalities and even a marching band took time to celebrate the wonderful mother that Jesse is. The sun was shining, but the temperature was below freezing. That didn’t stop the special parade to honor Jesse. Led by Olivet Nazarene University’s mascot, Toby the Tiger, the parade wound through the neighborhood as Olivet’s Marching Tigers set the beat and provided the music. 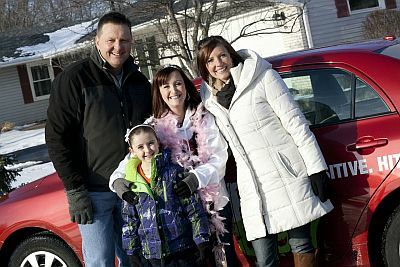 Jesse and her husband, Ray, and their three children rode in the parade. Neighbors came outside along the route to cheer for Jesse and enjoy the band. At the end, the band gathered to play one more song in Jesse’s honor. Then Kurt Wallace and Lisa Graft of The New Shine.FM presented Jesse with her prizes, including a 50-inch flat screen TV and a certificate for a spa day. Papa John’s had already scheduled the delivery of pizzas for the Nedehons and their family and friends to enjoy later as they watched the big game. 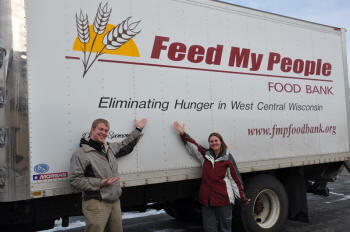 Pictured left: WWIB/Chippewa Falls Morning Show Announcers Molly Lee and Caleb Svendsen welcome Feed My People's truck in Fall Creek. Recently the station made a delivery possible to the Community Cupboard there with their "60 Ways in 60 Days" promotion. Shamrock Media Group announces the addition of radio promoters James Riley and Shane Boyd, who will serve as VP of National Promotions and Director of National Promotions, respectively. They join Alan Garrett (AC/Soft AC National Promotions Manager) and Mike Laxton (Rhythmic Promotions Manager) under the direction of Chris Chicago, founder and President of Shamrock Media Group. Together, the all-star team collectively holds more than 60 years of industry experience. In addition, Shamrock has announced expanded production and music video services, hiring Rhyan Shirley as Video Promotions Manager, and welcoming multi-platinum and Dove Award-winning producer and Grammy Award-winning producer Jeff Savage (tobyMac, Jars of Clay, dcTalk) as Creative Director. Savage will provide in-house mixing and production services to Shamrock’s growing stable of artists and labels. New Life Media announces the merging of WIBI/Carlinville with its sister stations WBGL/Champaign and WCIC/Peoria. The transition date is February 15th. The plan is for WBGL to add seven WIBI frequencies to its coverage including: Carlinville, Granite City, Vandalia, Effingham, Mount Vernon, Murphysboro and Metro St. Louis. WBGL’s total coverage will then stretch from Chicagoland to Carbondale, and its potential audience will grow from 2.5 million to nearly 3.75 million people. WCIC will be adding the Springfield and Jacksonville frequencies to its coverage area, and will now reach a potential audience of 1 million people, adding over 250,000 people and extending its reach into the western part of Illinois. The 2013 NRB Media Awards to honor and celebrate the most outstanding ministries, facilities, and programs/producers in our association. • Radio Station of the Year and the winner is KVNE/Tyler. FreQ Media Network has launched it's operations under the direction of former Radio & Records Christian music editor Rick Welke. 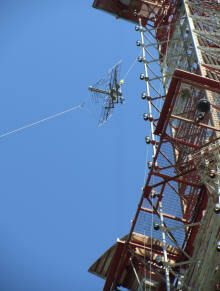 The network has plans to offer up at least six new internet radio stations within the first year of its existence. FreQ Media's first in-house radio station called the Retro Rock channel will launch online 1/13/13. The Retro Rock station will initially be available via radio outlets like ShoutCast, TuneIn.com, and the company's new website at FreQazoid.com which launches in February. The station will feature hits by artists like P.O.D., Skillet, Stryper, DC Talk, TFK, White Heart, along with many other hit producing artists over the past 30 years. Centricity Music has added three new three new staff members and promoted two employees in its promotion department. The changes include Ben Stauffer named Finance Director, Kris Love becoming Director of Radio Promotions, and Alyssa Kawata as Marketing Manager. Marshall Macari has been promoted to the Radio Promotion team and will oversee all Indicator stations, while Jon Sell will join Centricity’s A&R Department. The Christian Music Broadcasters (CMB) Production Summit will take place Thursday, February 21 at Gateway Church in Dallas. Attendees will not only be coached on imaging, creative writing and recording but will engage in hands-on activities having a direct influence on each attendee's station. Speakers include production directors Sterling Terrant of KSBJ/Houston and John Hudson of KLTY/Dallas. WBGL/Champaign morning co-host/social media director Tim Sinclair will also be a presenter. Looking ahead this year in April, Gold members are invited to Charlotte NC to meet with the CMB Board for a day long roundtable and Web & Social Media Summit as well as the Women in Christian Radio summit. This June its "Leadership through Influence" at EMF/KLove/Air1 in Rocklin. 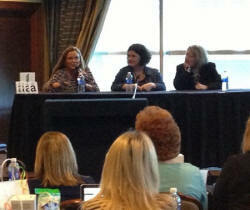 Momentum 2013, is set for for September 4-7, again at Disney's Yacht & Beach Club Resort in Orlando. Be sure to visit the GMA 2008 memories page on HisAir.Net. Send your pictures and GMA comments to [email protected].